Thiruvananthapuram is an important city of Kerala, known for its aesthetic value and cultural heritage. In the last few years, property in Thiruvananthapuram has shown a steady rise in demand. A number of residential complexes have come up in the region, undertaken by reputed developers. With the development of a number of infrastructure projects in the area, the price of property has undergone a steady rise. If you are willing to enjoy the cultured lifestyle of the city, you may consider booking an apartment in one of the upcoming estates here. Hundreds of families from all around the country are moving to the projects in Thiruvananthapuram, in search of a better lifestyle. Easy communication facilities, transportation and proximity to the commercial zones have increased the value of property in the region. The enriched social infrastructure in Kerala is one of the key reasons for the rise in popularity of these projects. Besides, security and transportation facilities in the area have been enhanced in recent years. A number of schools, universities and hospitals are located close to the properties in Thiruvananthapuram. People moving to the apartments enjoy fast access to the shopping malls, multiplexes and other places of entertainment. Connected by a dense network of roads, you will enjoy seamless connectivity to all the regions located nearby. People shifting to the flats in Thiruvananthapuram will get easy connectivity to educational institutions. The University of Kerala serves as a reputed platform for higher education. The other important schools in the area include St. Mary’s Higher Secondary School, Arya Central School, The Charter School, Technical Higher Secondary School, St. Joseph's Higher Secondary School, Model Finishing School, Sydney Montessori School, Christ Nagar School, and Nirmala Bhavan Higher Secondary School. Important healthcare institutes in the area are Chaithanya Eye Hospital & Research Institute, Nirmala Hospital, Cosmopolitan Hospital, Trivandrum Medical College, Sri Avittom Tirunal Hospital, and Sree Uthradom Thirunal Hospital. People moving to the apartments in Thiruvananthapuram will enjoy all the amenities for entertainment and healthcare. If you are craving for a green living infrastructure, the upcoming residential complexes will provide you with the ideal scope for the same. The plots in Thiruvananthapuram come with large open spaces, with landscaped gardens, beautifully decorated. You will enjoy the interiors of your apartments as well, polished and elegant. The residential complexes come with a number of amenities that cater to the fitness and health needs of the residents. You will enjoy the swimming pool and gym in the complex. Besides, the residents in the villas in Thiruvananthapuram can have quality time in the clubhouse. You may love to play various indoor and outdoor games and the residential estates come with all these facilities. For children, the dedicated play areas provide the ideal opportunity to enjoy quality time. For investors and homeowners, this is the ideal time to invest in the property in Thiruvananthapuram Kerala. 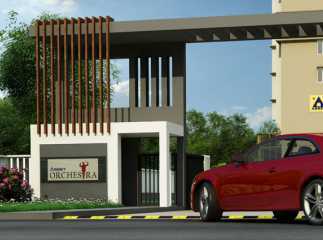 You may go for 2, 3 and 4 BHK apartments in the estates. The prices of apartments in this popular residential hub are rising. Get a luxurious apartment for yourself and enjoy an aristocratic lifestyle.